Lake Champlain Chocolates - The Best Kosher Chocolate? EDITOR’S NOTE: Lake Champlain Chocolates has an extensive product line and creates special packaging for many major holidays. The items discussed here are available year-round in all-purpose packaging. Valentine’s Day has its origins in ancient Rome, when people paid homage to the god of fertility, Lupercus, during the Feast of Lupercalia on February 15th. In an effort to erase its pagan origins, in 486 A.D. Pope Gelasius I designated February 14th as the official day of observance; and henceforth, the holiday persevered as a celebration of love. Nowadays, traditions vary tremendously, but most are linked by an exchange of gifts between two lovers. Whether small or large, these gifts are meant to convey the giver's love and compassion. With the development of fine chocolate candies in the twentieth century, there’s no doubt that one particular gift has emerged as an eloquent spokesperson for the holiday: more than one billion dollars will be spent on chocolate during the Valentine season this year. Vermont’s Lake Champlain Chocolates has stepped up to the plate by offering a dizzying array of selections. Whatever your budget—or passion—allows, Lake Champlain will have the perfect fit. While glancing over the website or browsing through a store, the first Lake Champlain products that might grab your attention are the colorful heart-shaped boxes of bonbons. First on the menu is the Grand Chocolate Assortment of twenty-two pieces, including classic favorites such as Honey Caramel, Cherry Sensation, Hazelnut Praline, Caramel Heart, and Raspberry Cream. The caramels are runny and redolent of fresh butter, while the pralines scream of hazelnut and aren’t too sweet. The fruit-based pieces are smooth and potent, quickly sending a jolt of fruity love through your tongue. For Valentine’s Day, this assortment is nestled in a heart-shaped box with a lovely contemporary design—pretty enough to keep long after the chocolate has disappeared. If you prefer to convey your love through truffles, there are plenty of options. Lake Champlain has taken their most popular flavors and packaged them in the same pretty heart box. Here, you’ll discover oversized truffles with a velvety and firm texture: the sign of a higher portion of chocolate than cream, which translates into a more chocolaty flavor. After tasting all the flavors, Legendary Dark, Amaretto Praline, Vanilla Malt, Champagne, and French Roast are my personal “valentines.” As these behemoths melt, the unctuous texture is accentuated when you suddenly realize that your mouth is completely filled with chocolate! What better feeling is there than that? Oversized truffles nestled in a gorgeous heart box. 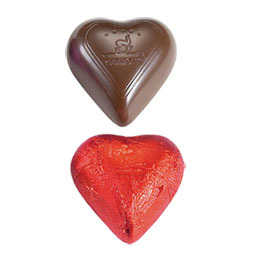 Lake Champlain also offers foil-wrapped solid chocolate hearts in three flavors: Dark, Milk, and Dark Chocolate Mint Crunch. Fans of York™ Peppermint Patties take heed: the mint hearts are a gourmet version of the same flavor but, of course, delivered through solid chocolate. 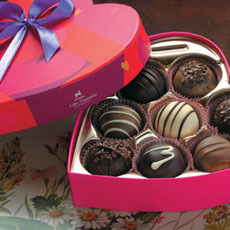 There are also two varieties of filled chocolates: Raspberry Cream Hearts and Milk Chocolate Caramel Hearts. These will surely melt your valentine’s heart just as quickly as the centers dissolve on your tongue! The three solid chocolates are available in a gift box; all flavors can be purchased in bags—perfect for when you need to fill a candy bowl. If your valentine is a purist or prefers something a little less flashy, opt for the box of forty-eight chocolate square medallions (they’re called napolitans internationally). The assortment includes Milk, Dark, Dark Mint, and select origin São Tomé 70% chocolates. The napolitan size is often used to accompany a cup of coffee or espresso after dinner. A single square is enough to satisfy a chocolate craving, but those of less-restrained appetite might prefer two cubes—or perhaps one of Lake Champlain’s regular-sized chocolate bars. Valentine’s Day only comes once a year, so if you’re going to do it, then you might as well do it right—right? And doing it right, in our opinion, means chocolate. After all, for a food whose name literally translates to “food of the gods,” what else could better express your love? Chocolates, Truffles, Solid Hearts, & Much More—For Valentine’s Day, other holidays, and everyday indulgences. Shipping and taxes additional. Prices and availability are verified at publication but are subject to change. Valentine Chocolate Hearts Gift Box: foil-wrapped hearts in Milk, Dark, and Dark Chocolate Mint Crunch. Add some recipes to your chocolate! We’ve selected three spicy, romance-cooking books to get you started. 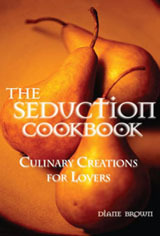 The Seduction Cookbook: Culinary Creations for Lovers, by Diane Brown. This book is about preparing sensual dishes (tastes, presentations) with the right atmosphere (candles, soft music, flowers, beautiful settings). All the recipes are simple and take up just one page each, thus freeing the cook to spend less time in the kitchen and more time at the table—and beyond. Learn more. by The Cooking Couple. 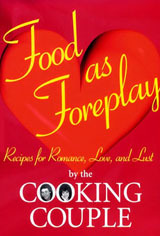 More than 100 quick, easy and fun recipes and dozens of tips that will get you out of the kitchen and into the bedroom. The book covers every aspect of a romantic meal, from appetizers to dessert, and proper kitchen etiquette (cleaning up means showering together). Learn more. new additions to the Kosher Nibbles section.